No name. No past. No remorse. Perfect, that is, until he began to ask questions and challenge his orders. Now The Program is worried that their valuable soldier has become a liability. His objective: Take out Eugene Moore, the owner of an extremist military training camp for teenagers. It sounds like a simple task, but a previous operative couldn’t do it. He lost the mission and is presumed dead. Now our assassin is confident he can finish the job. Quickly. 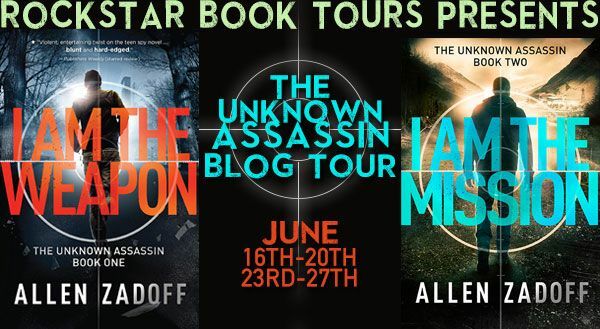 The riveting second book in Allen Zadoff’s The Unknown Assassin series delivers heart-pounding action and a shocking new twist that makes our hero question everything he has believed. Boy Nobody is the perennial new kid in school, the one few notice and nobody thinks much about. 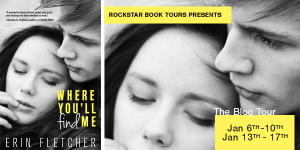 He shows up in a new high school in a new town under a new name, makes a few friends, and doesn’t stay long. Just long enough for someone in his new friend’s family to die-of “natural causes.” Mission accomplished, Boy Nobody disappears, moving on to the next target. But when he’s assigned to the mayor of New York City, things change. The daughter is unlike anyone he has encountered before; the mayor reminds him of his father. And when memories and questions surface, his handlers at The Program are watching. Because somewhere deep inside, Boy Nobody is somebody: the kid he once was; the teen who wants normal things, like a real home and parents; a young man who wants out. And who just might want those things badly enough to sabotage The Program’s mission. As with most of my novels, the inspiration for The Unknown Assassin series came first in the voice of a character. One day during a brainstorming session, I heard a boy talking to me. He was very tough and seemingly without emotion. I asked him who he was, and he told me he was a sixteen-year-old soldier who traveled from place to place carrying out missions. He said he had no home and worked for a shadow organization called The Program who gave him his assignments. He said his mission was to befriend the children of high value targets so he could get to their parents and secretly assassinate them without being detected. When I asked him how he was able to accomplish a mission like this, he explained that he could fit in anywhere, but he belonged nowhere. That’s all I needed to know. I was hooked. When you’re a writer and a character like this starts speaking to you, you are wise to listen and ask questions. That’s exactly what I do at the start of a novel. I get quiet and listen for the voice of a character. He is usually angry because he has a problem, something that is deeply disturbing to him. Some might say this is the core of any novel. A character with a problem, the stakes of which seem like life or death. For the rest of the novel he will try to solve this problem, only to discover that it is unsolvable with his current skills, knowledge, or understanding of the world. In order to get through the story, the character will have to transform in some way. There will be a shift in perception. The hero goes from facing the world alone, to facing it with people. He goes from believing he is broken to realizing he is whole, or at least that he’s like everyone else. He goes from selfishly pursuing his own goals to sacrificing himself for someone or something else. Whatever the journey, the character must change, must learn something. Otherwise, why are we interested? With the Unknown Assassin, I heard the voice of a loyal soldier who was beginning to doubt his mission. To be good at his job, he needed to be emotionless, but he was also a sixteen-year-old guy who was awakening to his feelings, to the world, and to himself. This is a big problem, big enough to drive at least three novels. And so The Unknown Assassin series was born. 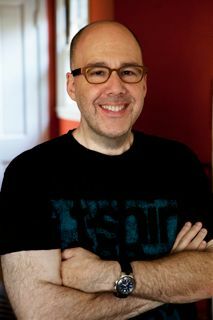 Allen Zadoff is the author of the THE UNKNOWN ASSASSIN series as well as several acclaimed novels including FOOD, GIRLS, AND OTHER THINGS I CAN’T HAVE, winner of the Sid Fleischman Humor Award and a YALSA Popular Paperback for Young Adults. 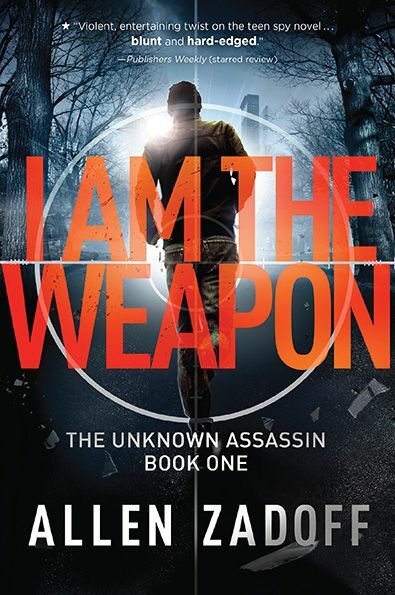 Allen’s action-packed series debut, I AM THE WEAPON (formerly BOY NOBODY), is a page-turning thriller about a teenage assassin that has already been optioned for film by Sony Pictures & Overbrook Entertainment. The book was featured in the Los Angeles Times’ Summer Reading guide and has received starred reviews from Publishers Weekly and VOYA. 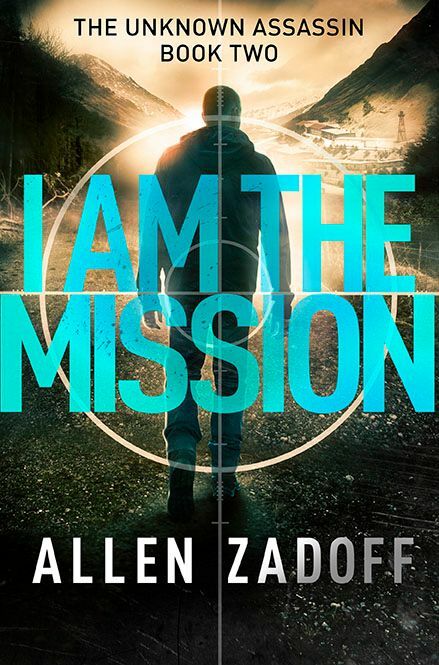 Kirkus Reviews called I AM THE WEAPON “fast, furious, and fun.” Look for the sequel, I AM THE MISSION, beginning in June 2014. Allen is a graduate of Cornell University and the Harvard University Institute for Advanced Theatre Training. His training as a super spy, however, has yet to be verified. Visit Allen on the web at www.allenzadoff.com. Hi Allen! 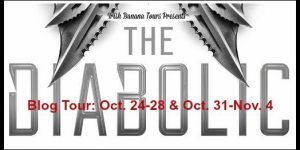 Your books sound fantastic and I love a fast paced thriller. Please continue to share your wonderful talent with us and thanks for the great giveaway! I’ve head a lot of good things about I AM THE WEAPON/BOY NOBODY. All my book friends enjoyed it. 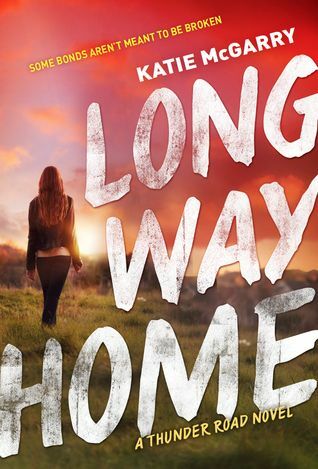 It’s definitely on my TBR. I’m looking forward to reading it. Awesome giveaway. Thanks for sharing. I am dying to read this series. It sounds amazing! This sounds like a great series. Thanks for sharing!